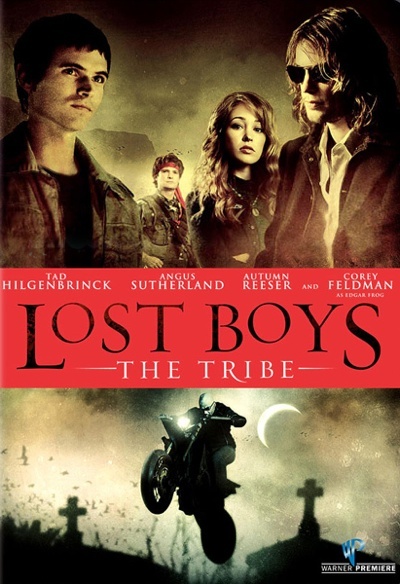 So Lost Boys: The Tribe, and the original Lost Boys share a lot of things in common which should be expected of sequels, but the funniest thing about this movie is that it had pretty much the exact same plot as the first one. I actually really enjoyed the original Lost Boys, so I didn't hate watching this one, but it was a little surprising that the filmmakers couldn't come up with something a little bit different then person get's seduced into drinking vampire blood, person starts exhibiting vampire behavior in front of family member, person's family member tries to kill main vampire before person turns into a full blooded vampire which was also the plot in the original. The one thing this movie had that the original didn't was Autumn Reeser who this reviewer thinks is crazy hot, so that definately made the movie more enjoyable for me. All in all I would say fans of the original Lost Boys should check this movie out, but don't expect it to be as good as the original.